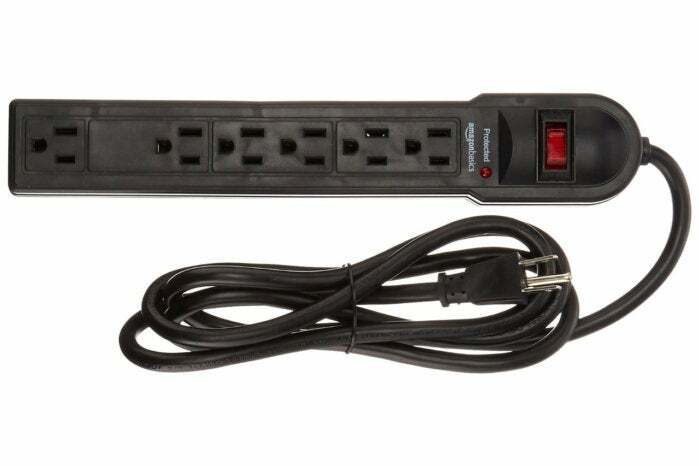 Amazon recommends this surge protector for all purposes, but it's really just a glorified power strip. 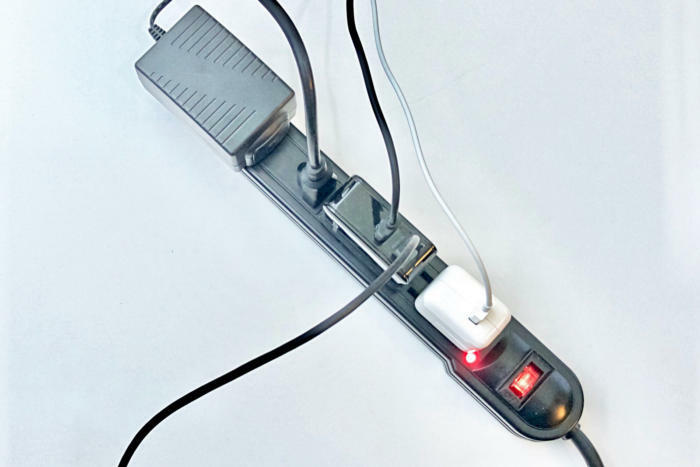 We included this AmazonBasics model in our testing, because we wanted to see how a baseline, mostly old-style power strip with surge protection would work. The answer is: not well and we don’t recommend it for electronics of any kind. Its clamping voltage is too high, protection too low, and durability too short. It’s almost a side note that the location and spacing of the outlets isn’t ideal for electronics. There’s one extra long gap at the strip’s end opposite the power switch, but I was only able to position four typical plugs among its six outlets. We don't recommend this inexpensive surge protector for protecting electronics. The AmazonBasics surge protector also keeps power flowing when protection is gone, so you need to keep an eye on its bright red Protected light. We don’t recommend this surge protector for electronics.